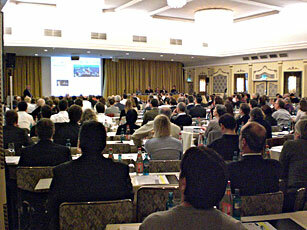 The 3rd QP Forum of the European Qualified Person Association (EQPA) was held in Munich, Germany on 4-5 December 2008 with three parallel pre-conference workshops on 3 December. One of the workshops was facilitated by the EQPA's IMP Working Group , discussing topics like the GMP/GCP interface, the role of the hospital pharmacist in a clinical trial and minimal requirements for GMP manufacturing for Phase 1 studies. Another workshop was presented by Chris Burgess and Richard Bonner, both members of the EQPA Advisory Board, addressing important aspects of the QP in modern pharmaceutical quality systems. Initiated by the Chairman of the EQPA, Bernd Renger, a 3rd workshop was hosted by the Plasma Protein Therapeutics Association (PPTA), the primary advocate for the world's leading source plasma collectors and producers of plasma-based and recombinant biological therapeutics discussing the critical areas of working with plasma-based and recombinant biological therapeutics. Both the Forum and the pre-conference workshops were rated very positive by the almost 250 representatives. A survey amongst the delegates resulted in an overall rating of 1.93 (where 1 was the best rating and 6 the worst). As a result of the feedback given at the 2007 QP Forum in Berlin, more possibilities for interactions between the QPs were part of the agenda, like for example, four parallel sessions, longer brakes and a Q&A session. As this was very much appreciated, it is planned to add two more parallel sessions for the 2009 QP Forum. the European Commission's Public Consultation in Preparation of a Legal Proposal to Combat Counterfeit Medicines for Human Use. 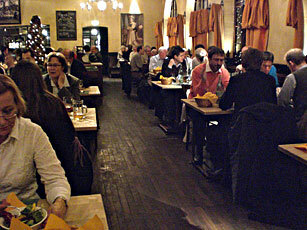 Results were submitted to EMEA May 2008 and addressed some members' concerns. monitoring changes - how does industry ensure that the actual status of filings or changes of products is monitored and in compliance when batches are released by a Qualified Person -submitted to EMEA in September 2008. The first presentation of the QP Forum given was a shared presentation of 3 regulating and supervising authorities. John Taylor, Quality and Standards Manager Acting and Group Manager, Enforcement and Intelligence of the U.K. Medicines and Healthcare products Regulatory Agency (MHRA), Zofia Ulz, Main Pharmaceutical Inspector at the Main Pharmaceutical Inspectorate in Poland and Rudolf Völler, Director of the GMP Inspections Department of the local authorities in Darmstadt, Germany gave an overview of inspection findings with QP relevance made by their inspectorates. Based on selected examples and case studies, compliance challenges for QPs were presented and evaluated. Another presentation was given by Jenneke de Goeij, talking about how the QP can use Risk Management in the daily operations and how risk-based decisions can be made and documented. EMEA's Karin Nodop (from Inspection Sector at the European Medicines Agency) gave her view on the QP's role and responsibility in the EU Legislation and GMP for APIs and Excipients with a focus on the qualification of suppliers. Her presentation was completed by a short quiz where the delegates could test their know-how based on complex examples - an interaction which was very much appreciated by the delegates. "Batch C234HR is low in assay but it must be released today! ", "This is a very expensive product! "; doesn't that sound familiar? The QP in conflict was the topic of Afshin Hosseiny's presentation. He gave valuable hints on how to handle instruction to release non-conforming material, recourse management and liability and indemnity. Richard Bonner and Rudolf Völler were then talking in a shared industry/authority presentation about contract services and the QP's responsibilities and challenges with suppliers, service providers, TPMs and Contract Laboratories. Topics like virtual companies and contract QPs are always good for lively discussions, as also seen at the subsequent Q&A session. During this Q&A Session more than 40 questions asked by the delegates were answered by the speakers team. A lot of them were addressed directly to Katrin Nodop from EMEA who gave very valuable information at first hand. Again very much appreciated was the social event on Thursday evening. Four busses with well selected guides took the QPs for an interesting sightseeing tour through Munich, the famous capital of Bavaria. Followed by a dinner in a traditional restaurant right in the city centre, the participants were able to continue their discussions and share their experiences with their colleagues in a relaxed atmosphere. The 2009 QP Forum will be held in Barcelona, Spain on 3-4 December with three pre-conference workshops on the 2 December. At the EQPA Advisory Board on 22 January 2009 in Frankfurt, a structure was defined and first presentations and parallel sessions identified. We will keep you informed.